Designing or renovating a kitchen represents a task that homeowners spend a lot of time perfecting to make sure that their kitchen is “just so.” From range sizes to counter composition and appliance positioning, there are a lot of factors that go into creating a cook’s perfect kitchen. More often than not, the backsplash is one of those areas that doesn’t get the attention that it deserves. If you’re in the process of designing or redesigning your kitchen, you may need some help sifting through the myriad options that exist for your backsplash design. Read on to learn more about how a ceramic tile backsplash might be the answer that you need for designing the kitchen of your dreams. As you may have discovered, there are a lot of choices for backsplash materials. And while they all have unique visual appeal and price points, they all have some pretty big drawback. Ceramic tile is different. It allows you to incorporate your favorite design elements at a price point that won’t leave you reeling from sticker shock. Among its competitors, ceramic tile is one of the easiest backsplash materials to clean. Just simply wipe it down and keep going. 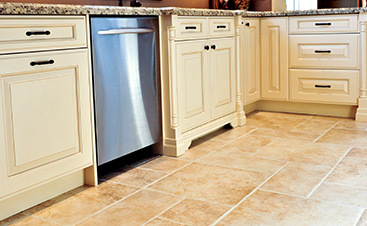 Unlike natural materials that need sealing to resist stains and damage, ceramic tile doesn’t need any special treatment. Once someone installs ceramic tile, it’s good to go. Unlike stainless steel or other metal options, this stuff won’t scratch no matter how much you need to scrub to get something off of the surface. 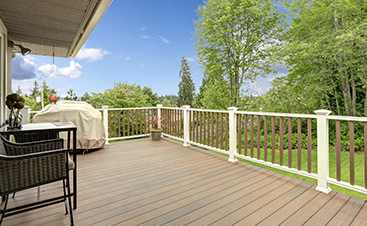 Ceramic tile is also a clear winner when it comes to staying within your reno budget. Ceramic tile is one of the most affordable backsplash options, so you can really play around with design without hurting your bottom line. No matter your kitchen design, you can find a host of ceramic tile backsplash styles that complement it perfectly. From hand-painted Mediterranean inspiration to the faux brick that’ll have even your most savvy friends doing a double-take, you can find the ideal ceramic tile style for your kitchen. Of course, even once you narrow your choice to ceramic tile, you still need to sift through hundreds of design options to make your final choice. Here are some tips for picking out a backsplash that’ll make you want to spend all of your time enjoying your new kitchen. Your kitchen and home decor should influence your decision when choosing backsplash design. Is your kitchen super modern? Are you decorating a cabin full of rustic charm? Obviously, the design options for both of these choices, and many others are vastly different. Choose a tile design that complements or accents your kitchen decor in the best way. Whether that’s something traditional or trendy, finding that right design is the finishing touch you never guessed that your kitchen needed. 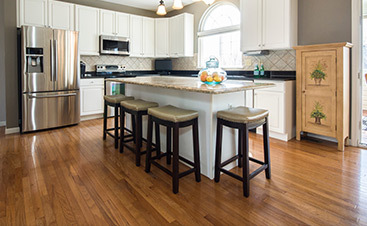 Did you know that there are certain areas in the kitchen that make great accent areas? The spaces behind the stove and sink naturally draw the eye and can feature fun backsplash components that really add a layer of visual appeal to your kitchen design. Most backsplashes feature a variety of colors to keep things interesting. You can choose from pre-mixed colors sold in a grid, or pick out complementary colors of your own to make your backsplash stand out from the rest. Ditch traditional design by having tiles installed vertically or diagonally, rather than horizontally. This unexpected design element will give your backsplash an extra touch of style that makes your kitchen seem larger than it is. You can include a diagonal design in one of the accent areas to make it stand out without having to choose a special element to install there. This is also a nice place to play around with alternative placement without having to commit for your entire kitchen. Whether you’re a DIY lover or not a fan of doing your home redesign yourself, you probably don’t want to attempt backsplash installation alone. Using ceramic tile requires some specially designed tools and knowhow that the average homeowner likely doesn’t want to invest in for a simple backsplash install. Our team handles backsplash installation with professionalism and care. We’ll work with you to pick a tile design and customize it specifically for your kitchen. 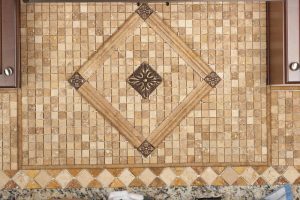 We know how to seal your tiles and place them perfectly to get the design that you want. Don’t go it alone – call us for help!